Plot Summary: The story is set before the main story's "Battle in Nagoya" arc. 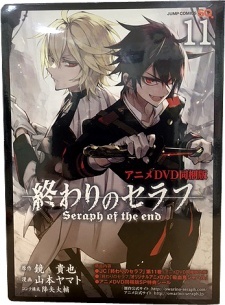 The Shinoa Squad receives another mission from Guren; to rescue a human girl named Riko from a mysterious vampire, Shahar, and bring her back to her family. However, Ferid and Crowley also appear when they find Shahar. Can Yuuichirou save the girl?